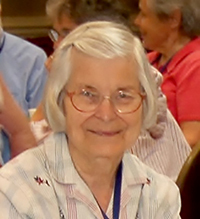 Sister Virginia Schroeder, age 74, died at the Marie-Rose Center at Mary’s Woods at Marylhurst in Lake Oswego, March 19, 2019. 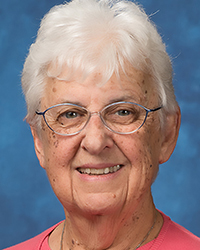 A member of the Sisters of the Holy Names of Jesus and Mary for 53 years, her funeral will be held at 11 a.m., March 28, 2019, in the Chapel of the Holy Names, Marylhurst, Oregon. The daughter of Al and Clara Keber Schroeder, Virginia was born in Salem, OR. Growing up, she attended St. Vincent’s School and Sacred Heart Academy where she became acquainted with the Holy Names Sisters. Graduating as part of Sacred Heart’s 100th class in 1963, she entered the Holy Names’ novitiate the next August and later received the name Sister Urban Mary (after her uncle Father Urban Keber, OSB). Upon completing a B.S. in education at Marylhurst College, she taught in Catholic elementary schools in Coos Bay, St. Helens, and St. Ignatius, Portland. During this time she obtained a master’s in education from Western Oregon State College and moved on to secondary school ministry at LaSalle High School, Milwaukie and St. Mary’s Academy, Portland. In a career change, she pursued a master’s in pastoral studies from Seattle University and began work in parishes including Holy Trinity, Beaverton; St. Alice’s, Springfield; St. Jude’s, Eugene; St. Mary Star of the Sea, Astoria; and The Madeleine, Portland. Her extensive work experience prepared her for her mission at Mount Angel Seminary, where she served as Assistant Director of Pastoral Formation and Director of Admissions. The seminary honored her with the St. Michael the Archangel Award for exceptional fidelity and commitment to the mission of the seminary. With retirement, Virginia’s ministry did not end. Until recently she served as hospitality coordinator for the Sisters’ guesthouse at Marylhurst and was active for many years as co-director of the SNJM Associate Program, planning meetings and retreats for Associates. In all she did, Virginia brought a zest for life and an energetic spirit. If a helping hand was needed, Virginia was always there. 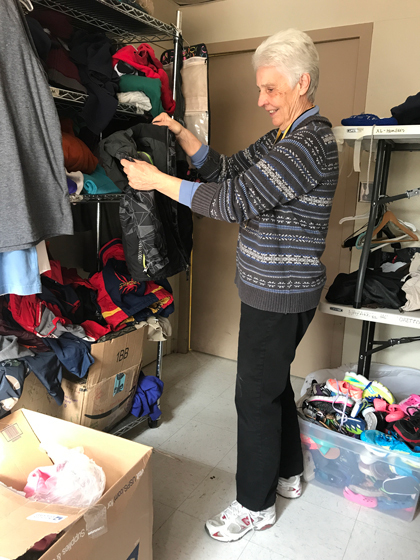 She was generous with her time and enjoyed shopping for Sisters at Mary’s Woods and assisting Sisters to organize and downsize when they needed to move. She also helped each week in the Refugee Resettlement Office of Catholic Charities, volunteered at St. Andrew’s Emergency Services Center and periodically answered phones for Oregon Public Broadcasting. Throughout everything, she maintained her enthusiasm for life and accepted each day as God’s gift in whatever manner it unfolded. Sister Virginia is survived by sisters, Louise Schroeder and Holy Names Sister Marilyn Schroeder, Salem, OR, and brother, Donald Schroeder (Margo), Redmond, OR, her nieces, nephews, cousins and members of her religious community. Remembrances may be made to Sisters of the Holy Names, P.O. Box 398, Marylhurst, OR 97036 or online at www.snjmusontario.org/donate. 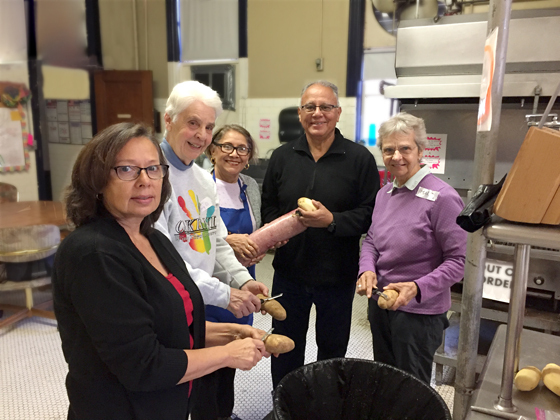 Two Holy Names Sisters are among the many volunteers who have been serving guests of Annunciation House in El Paso, Texas. They recently returned and shared their experiences in this report. Annunciation House has been accompanying migrant, homeless and economically vulnerable peoples of the border since 1978. Recently with the influx of people from Latin America, Annunciation House has set up nine centers to continue this outreach and support. The people of El Paso have responded generously by providing daily meals, laundry service, transportation to bus stations or airport, translation services and clothes and food donations. Through the Leadership Conference of Women Religious, Annunciation House asked for religious Sisters and people affiliated with their communities to volunteer and help at the various centers. Many responded to this request. The Sisters of Loretto have provided housing for volunteers at their El Convento residence. Ruben Garcia, the executive director of Annunciation House, has a working relationship with ICE. When the immigrants and asylum seekers are released daily from the Sub-Stations or Detention Centers, Ruben is notified and ICE buses then bring people to the Centers. The majority of people who arrive at our Center, Nazareth House, are fleeing violence and poverty in their home countries. They come with the clothes on their backs, worn shoes, hungry, thirsty, often carrying a baby or with young children prone to illness. Through all this they arrive with inner strength, hope, a desire to live in peace and to work and support their families. All the guests had documents received from ICE that are their current ID. 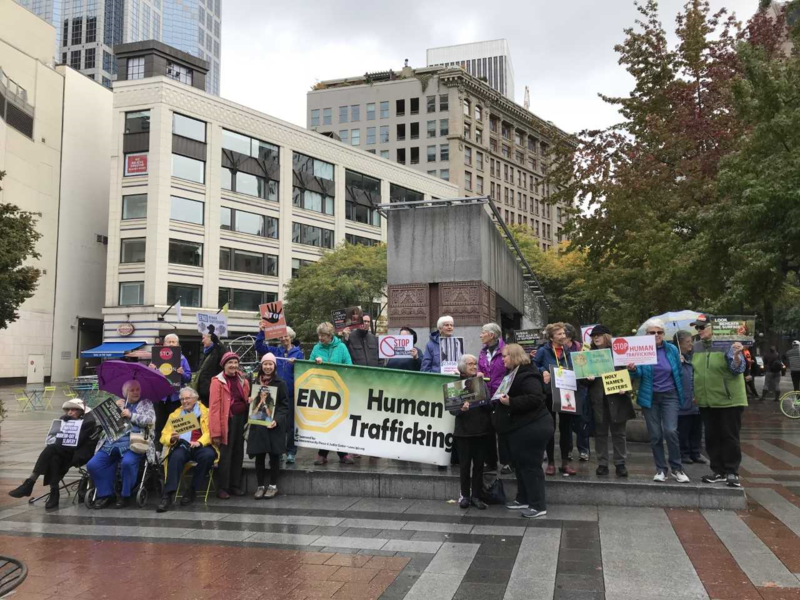 With these documents they can travel legally and are given a hearing date – usually within two weeks – where they need to appear in a federal court as part of the asylum process. At that hearing, depending on the judge, they could be allowed to continue the asylum process or they might be deported. We realize that the immigration issue in the U.S. is a very complex issue and we continue to read and discuss articles that help us to better understand this reality. Several articles we recommend are: “Moving ‘Beyond the Wall’: Immigration panel talks moral, practical solutions” (National Catholic Reporter, Feb.5, 2019) and these links to two articles: “The Ethics of Trump’s Border Wall” by Cardinal Joseph W. Tobin (New York Times, Jan. 30, 2019) and “Trump Does His Divisive El Paso Number” by Roger Cohen (New York Times, Feb. 8, 2019). The receiving centers have 24-hour coverage by a site coordinator (7:00 a.m.-10:00 p.m.) and by volunteers during the day and through the night. 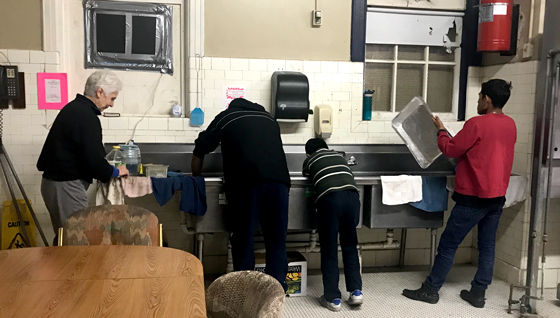 We worked the 10:00 a.m.-6:00 p.m. shift each day and each of us took one night shift from 10:00 p.m.-7:00 a.m.
ICE officials brought those released from the processing centers to Nazareth House. 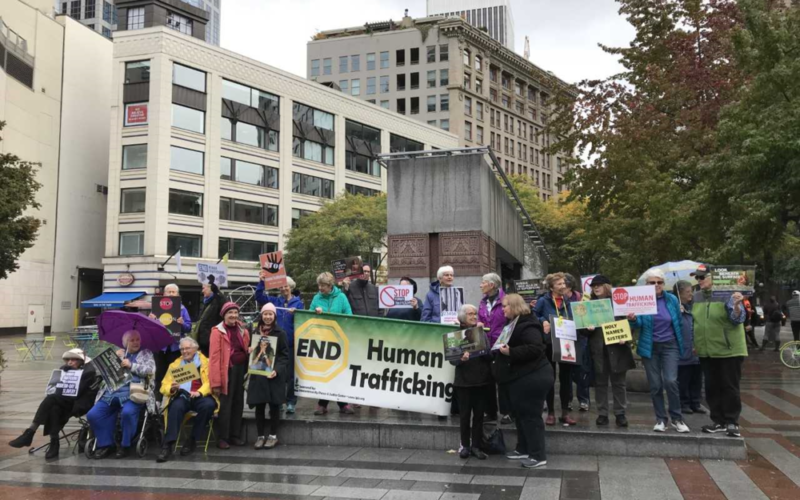 Most days, two busloads of people arrived and the center accommodated up to 50 new arrivals along with the 40 or 50 others waiting for their departures to sponsors in various states. Spanish-speaking volunteers helped with the intake procedure as well as welcoming the guests who weren’t quite sure where they were and who was helping them in this next step of the process. Water, snacks or a meal were provided and each new arrival was helped to select a change of gently used, clean clothing. Towels, toiletries, sheets, pillows and blankets were provided, and all enjoyed a hot refreshing shower. 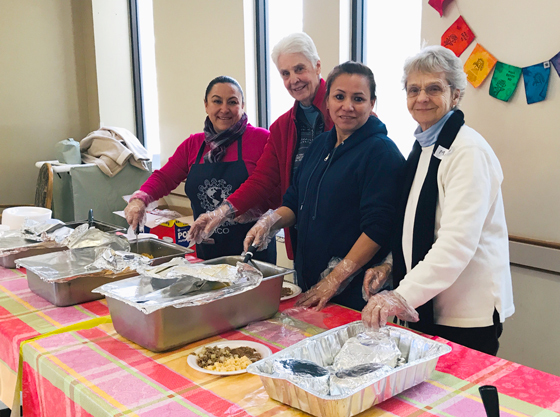 Most meals were provided by El Paso volunteers but on several occasions we, the day volunteers, cooked and prepared the lunch or dinner for around 100 people. We always asked some of our guests to help us with the meal preparation, the serving of the meal and then the clean-up of the many pots and pans. The guests loved working with us in these activities. Before the volunteer time with Annunciation House, Mary O. participated in Capacitar workshops (holistic wellness practices) with people in Juarez and El Paso. Capacitar leaders have been working at the border for more than 10 years, and around 95 people participated in these workshops. The SNJM Ministry Fund provided funding for these workshops and for the planning of future workshops in border areas in El Paso and central and southern California. On returning home and reflecting on our experiences, we are very grateful to the Holy Names community for your support, prayer and encouragement. We carried some of your donations with us and these enabled us to buy fresh salad, fruit and meat for the meals that we prepared for our guests. But most of all, we are grateful for the memories of the children and families, our guests, who left behind the violence and poverty of their home countries (as our own ancestors did) to start a new life here in the U.S., bringing with them much hope, spirit, determination and initiative. Both Marys helping with serving dinner. Mary O. organizes clothing for guests’ travel. Mary O. and guests clean up the kitchen. Mary B and Sr. Alicia, SL, locate a guest’s family. 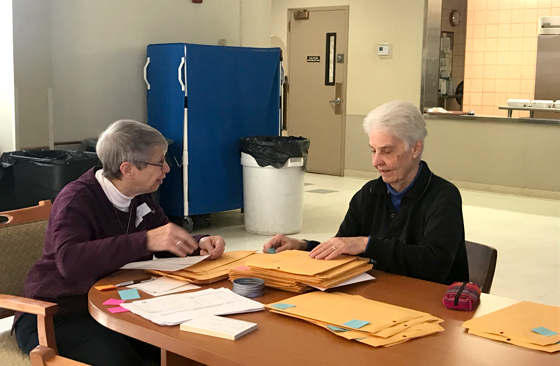 Cathy Olds, OP and Mary O. prepare intake packets. Volunteers, Mary O. and Mary B. prepare dinner. Her Mass of Resurrection was celebrated on Saturday, January 12, 2019, at 10:00 a.m. at South Hill Village, 3117 E Chaser Ln., Spokane, Washington. Burial took place at Holy Cross Cemetery, Spokane, Washington. Victoria Ann Adlum, Sister of the Holy Names of Jesus and Mary, died peacefully Friday, January 4, 2019, at Hospice of Spokane, Hospice House. Sr. Vickie was born Jacqueline Lois to Joseph D. Adlum and Victoria Geroaker Adlum on April 20, 1929, in Pasadena, California. Upon reaching school age, the family moved to North Bend, WA, where she attended public schools before moving to Seattle. In Seattle, she attended Immaculate Conception School from sixth grade through high school. And, it was here she met what were to become life-long friends and sisters in religion. Sr. Victoria Ann entered the Sisters of the Holy Names of Jesus and Mary at Marylhurst, OR, in January 1948 and pronounced First Vows two years later while attending Marylhurst College, from which she received her B.S. in Elementary Education. 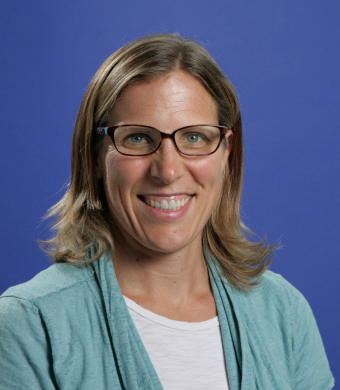 Her teaching career included assignments in Everett, Portland and Seattle. In 1967, because of the onset of MS, she was the first to move into the newly completed Convent of the Holy Names on Ft. George Wright Drive in Spokane; here she spent the next 7 years in the Care Center. Determined to walk again, Sr. Vickie prevailed and in time returned to active ministry at Holy Family, Auburn and St. Mary Magdalen School, Everett. Her return to Everett began a 16 year period of ministry as librarian, volunteer and beloved friend of SNJM Associates. In 2007, and with the closure of St. Mary Magdalen Convent, Sr. Vickie returned to the Convent of the Holy Names in Spokane. Her love of liturgy and her artistic eye made her the perfect sacristan; a duty she continued even with the move to Harbor Crest [now known as South Hill Village]. 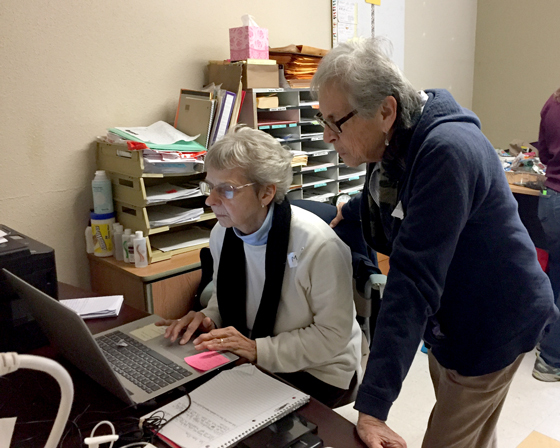 Sr. Vickie was the first to move into the Convent of the Holy Names when it opened in 1967, and she volunteered to be the first to move from the Covent in November 2013, following the sale of the building to Catholic Housing Services of Eastern Washington. The move to Harbor Crest opened a new avenue of ministry for Sr. Vickie. She welcomed the opportunity to be among the other residents, engaging them, learning their stories while sharing her quiet and gentle faith with all she met. Sr. Victoria Ann was preceded in death by her parents, Joseph D. Adlum and Victoria Geroaker Adlum, her infant twin sister, Virginia Lee Adlum and half-brother Merle D. Adlum. 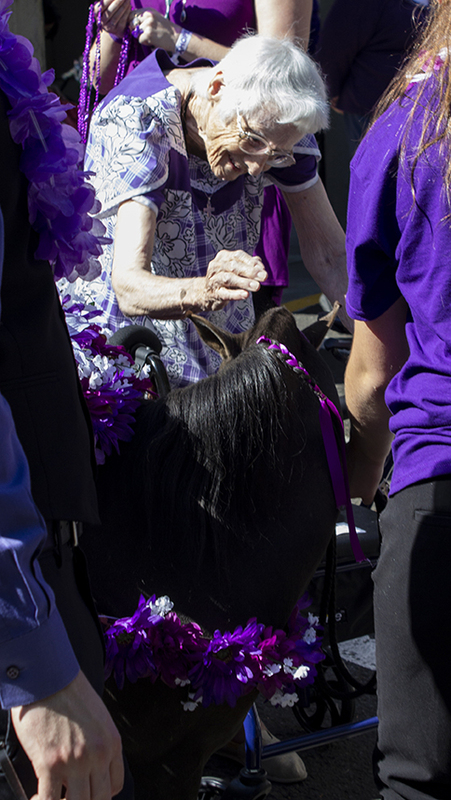 Sr. Vickie is survived by an extended family and numerous friends with whom she remained close to over the years, her religious community, the Sisters of the Holy Names of Jesus and Mary and the community of residents and staff at South Hill Village. Funeral Mass and Reception will be held on Saturday, January 12, at 10:00 AM at South Hill Village [3117 E Chaser Lane, Spokane]. Burial will be at Holy Cross Cemetery on Monday, January 14, at 2:00 PM. Sister M. Victoria Ann Adlum died January 4, 2019, in Spokane, WA. 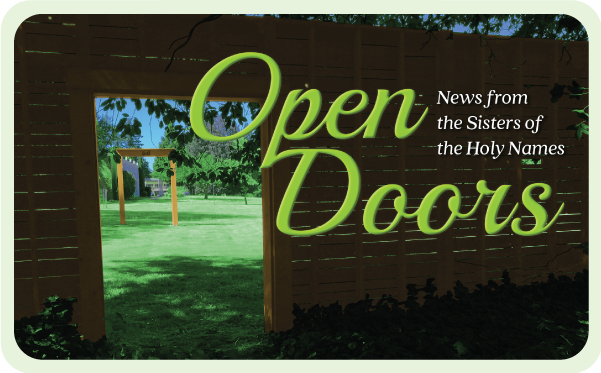 Memorial gifts may be made to the Sisters of the Holy Names Retirement Fund, 2911 West Fort Wright Drive, Spokane, WA 99224. Her Mass of Resurrection was celebrated on Saturday, January 5, 2019, at 10:30 a.m. at Holy Names’ St. Joseph’s Chapel, Albany, New York. Burial took place following the funeral at Calvary Cemetery, Glenmont, New York. On July 7, 1934, James and Ellen Haley Dunn welcomed their first daughter, Virginia, into their loving Rome, N.Y. home. Then, after a life of over 84 years of self-less service, and following several battles with cancer, Sister Virginia Dunn died on December 27, 2018, at St. Peter’s Hospital, Albany. After Virginia, the Dunn family eventually grew to include eight siblings, of whom the following survive Sister Virginia, Joanne Gaffey (William, deceased), Sister Eileen Dunn, SNJM, James (Joan), Sister Mary Ann Dunn, SNJM, Michael (Colleen); Ellen Dunn, and Rosi McCoy (Greg). Virginia’s parents and brother Robert predeceased her. She is also survived by a large, multi-generational family, including 17 nieces and nephews, 33 great-nieces and nephews, and 10 great-great-nieces and nephews. Each one held a special place in Virginia’s heart. Mrs. Dunn was the oldest of ten children, and Virginia was the clan’s first grandchild. This meant that, besides being the object of much adoring attention, over time, as other babies came along, Virginia gained lots of “big sister and auntie” experience being care-giver, “mini-matriarch,” and practical authority figure. Perhaps this was Virginia’s first introduction to pedagogy. In any case, she had a clear, early attraction to teaching and to the Sisters of the Holy Names of Jesus and Mary. Virginia became the first of three Dunn daughters entering the community which had founded their high school, Academy of the Holy Names in Rome. After graduating as class valedictorian in 1952, Virginia was off to the SNJM novitiate in Montreal, Canada. 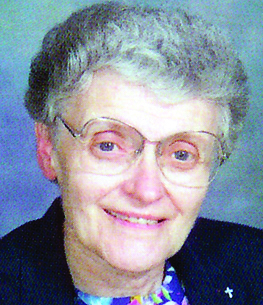 In her early ministries, Sister Virginia (Sister Ellen Dorothy) taught second grade in parish schools in Washington, D.C., Liverpool and Delmar, and in Holy Names academies in Albany and Tampa, Fla. With her second-graders, as with her own younger siblings, and even down through three generations to today’s nieces and nephews, Virginia seemed to have a special charisma with young children. But, after only ten years in the classroom with these dear little ones, Virginia was summoned to ministry in administration. Her first principalship was at St. Thomas School in Delmar in 1964, followed in 1965 and later in 1990, with two more assignments as principal in Holy Names Academies in Albany. When, in 1974, Virginia became the superintendent of schools for the St. Petersburg Diocese, she was well equipped for the demanding role with her calm persona and strong organizational skills. Her service as provincial director of the New York Province of the Sisters of the Holy Names, from 1981to 1987, and in parish outreach at Sacred Heart Church, Albany, also tapped those personal gifts. The next occasion for SNJM community ministry was the request in 2001 that Virginia assist in the reorganization and developmental planning for the Holy Names sponsored schools. She generously worked on inter-institutional coordination and visioning for four years, and then, in 2006, Sister Virginia moved to her last official ministry, Coordinator of Liturgy at Annunciation parish in Washington, D.C. In this large active church (as in her other ministries), Virginia’s skills, especially as a listener and facilitator, enriched the lives of countless individuals and directly improved the institution. Sister Virginia’s return to the Albany area in 2017 brought her to a familiar “home base” of years of her ministry and closer to visits with her Rome-area family. In addition to the family, this time of easy connection and reflection has been a blessing to Virginia’s many friends, colleagues, students, the Sisters of the Holy Names, especially her sisters, Sister Eileen and Sister Mary Ann, and her dear friend, Sister Kathleen Griffin. Now we celebrate the full circle of Sister Virginia Dunn’s life: born a leader, gifted, charismatic, giving, leaving a legacy of generous service, wise counsel, loving relationships, active faith. You are invited to join us as we express our gratitude to God for Virginia at a wake service on Friday, January 4, 2019, from 6 to 8 p.m. in St. Joseph’s Chapel at the Holy Names Provincial House, 1061 New Scotland Rd., Albany. The Mass of the Resurrection will be at the same location on Saturday, January 5, at 10:30 a.m. Interment in the Calvary Cemetery, Glenmont, will follow. If you wish, memorials in Sister Virginia’s honor may be sent to Sisters of the Holy Names, 1121 New Scotland Rd., Albany, NY, 12208. Sister Luke Marie celebrated 90 years of life and 62 years of her religious profession. Her Mass of Resurrection was celebrated on Wednesday, December 5, 2018, at St. Joseph’s Chapel, Albany, New York. Sister Barbara celebrated 92 years of life and 68 years of her religious profession. Her Mass of Resurrection will be celebrated on Thursday, December 13, 2018, at 11:00 a.m. at Chapel of the Holy Names, Lake Oswego, Oregon. Sister Barbara Gfeller (Sister Marion David), age 92, died at the Marie-Rose Center at Mary’s Woods at Marylhurst in Lake Oswego, November 28, 2018. A member of the Holy Names Sisters for 68 years, her funeral will be held at 11 a.m., December 13, 2018, in the Chapel of the Holy Names, Lake Oswego, Oregon. Daughter of Fred and Elizabeth Mettler Gfeller, Barbara grew up in Eastern Washington. 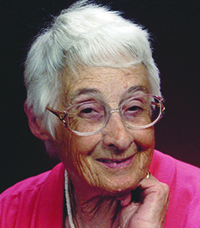 In 1948 she entered the Sisters of the Holy Names at Marylhurst and received the name Sister Marion David. Her first assignment as a teacher was Holy Names Academy, Seattle. From childhood Barbara evidenced an immensely curious mind and a fascination with science. She earned several degrees in science, which eventually culminated in a doctorate in Biology (Developmental Genetics) from the University of Oregon. Sister Barbara had a long career in higher education in universities around the world, including Marylhurst College, Oregon; Bethlehem University, Israel; Heritage University, Toppenish, Washington; and the College of the Marshall Islands. She embraced the challenge of “new beginnings.” Among these new beginnings was her return to Marylhurst Education Center to create the pioneering Prior Learning Experience program as well as her long distance moves to Bethlehem, Toppenish and the Marshall Islands. She remarked that such new beginnings were the kind of positions she found the most exciting. 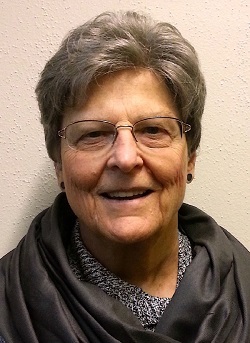 Following her retirement, she lived until quite recently in The Dalles, Oregon, where she volunteered with St. Vincent DePaul, St. Mary’s School Library and Habitat for Humanity and actively participated in the Holy Names Associate program with members in The Dalles area. Sister Barbara is survived by her sister and brother, Mary Stender, Cheney, Washington, and David Gfeller (Jo), Colfax, Washington, numerous nieces and nephews, and the members of her religious community. Remembrances may be made to Sisters of the Holy Names, P.O. Box 398, Marylhurst, OR 97036 or online at www.snjmusontario.org/donate. Anti-Semitic bigotry motivating the mass slaying at the Tree of Life synagogue in Pittsburgh, PA and the increase in anti-Semitic incidents across the U.S.
We respond with hope, courage and action to these appalling attacks. We will not demonize perpetrators, for we are all God’s children. 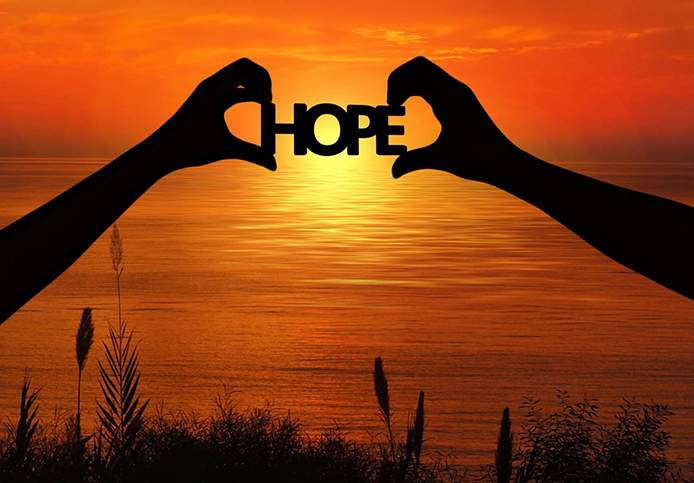 But while we pray for the victims, the perpetrators and all who mourn, we also appeal to our allies, partners and collaborators to stand firm with us and “choose life” by writing letters to your representatives, holding vigils, learning about cultures and religions different from our own, participating in nonviolent demonstrations and praying for peace, safety and dignity for all people.